Before your start to show of your DJ skills, make a bet and start spinning the reels of DJ Wild slots at Moon Games! Good luck to you! 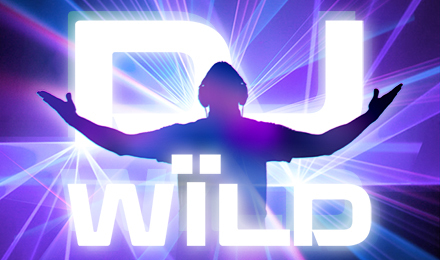 ELK Gaming has gone all out with DJ Wild slots! This is a simple slot game full of wins and betting strategies. Go crazy on your night out and enjoy the cash wins of DJ Wild slots. Earn big payouts from the Expanding Wild feature which offer you some free spins when they show on the grid. Each time one of the five wild symbols show up on the 5 reel and 10 payline slot grid, they either expand vertically or horizontally. Win up to 50x your initial bet on DJ Wild Slot!